The main motivation behind organizing the teambuilding activity was to reconnect with USEFP’s vision, enhance team collaboration, and celebrate collective successes. The agenda focused on activities that emphasized the importance of working as a team, the significance of the big picture and celebration of diversity. As organizations grow in size, achieving effective team work becomes a dauting task. In today’s fast-paced and competitive life, people tend to be more interested in securing personal interests at the workplace. However, as our staff learned during the training, a team is only as strong as its weakest link, and effective team work is the key to success in both life and business. 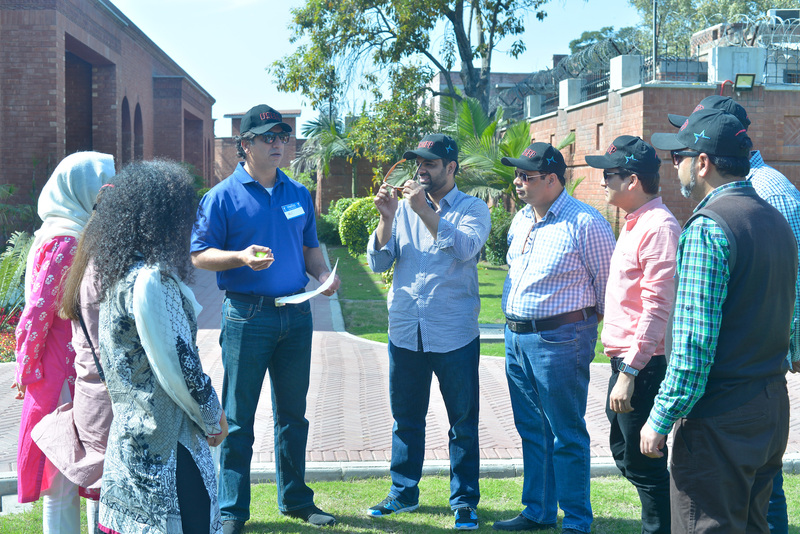 The teambuilding activity was facilitated by the dynamic Shireen Naqvi, co-founder School of Leadership. 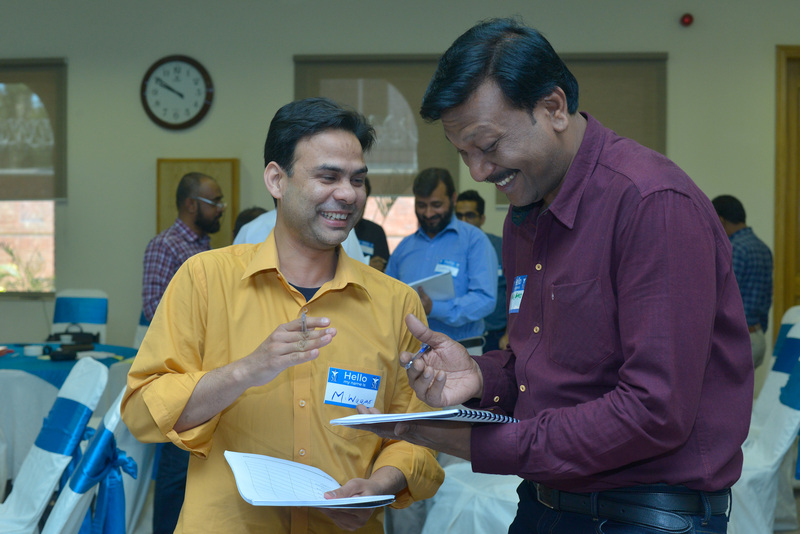 Naqvi’s zest for life was infectious, and soon after the training began, each participant’s spirits seemed to have been visibly lifted as a result of it. 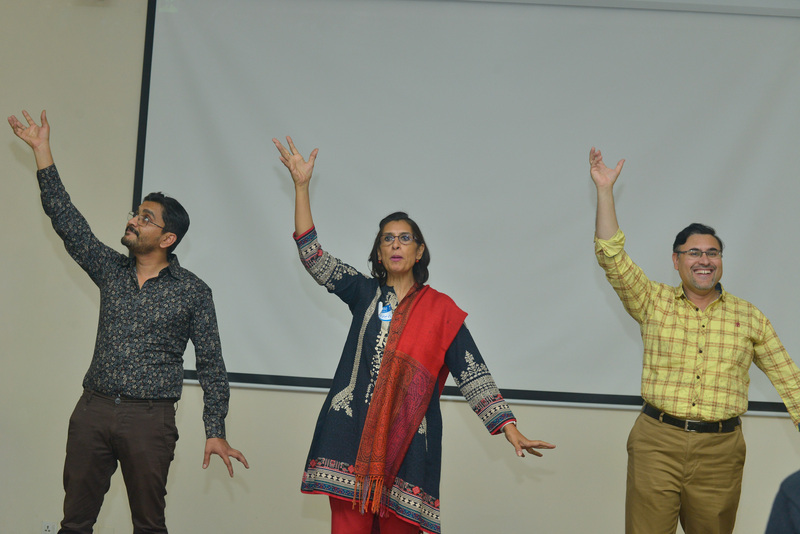 She, along with her colleagues, guided the staff through various interactive and fun activities. 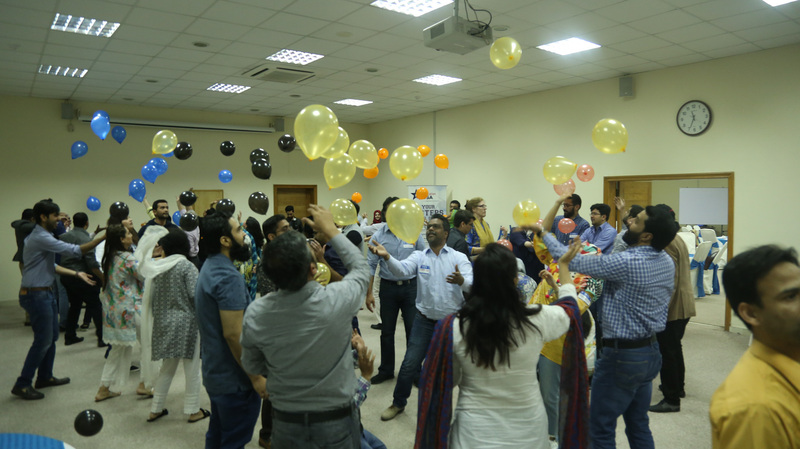 It was quite a sight to behold when USEFP’s otherwise professional and serious-minded staff, struggled to blow up and keep balloons in the air, contort their bodies to build a trust bridge, and role-play different characters. But while these activities ensured tons of fun for the participants, they also served to instill important lessons like the benefits of working towards a common goal, delegation, accountability, respect, trust, and the importance of effective communication and coordination. 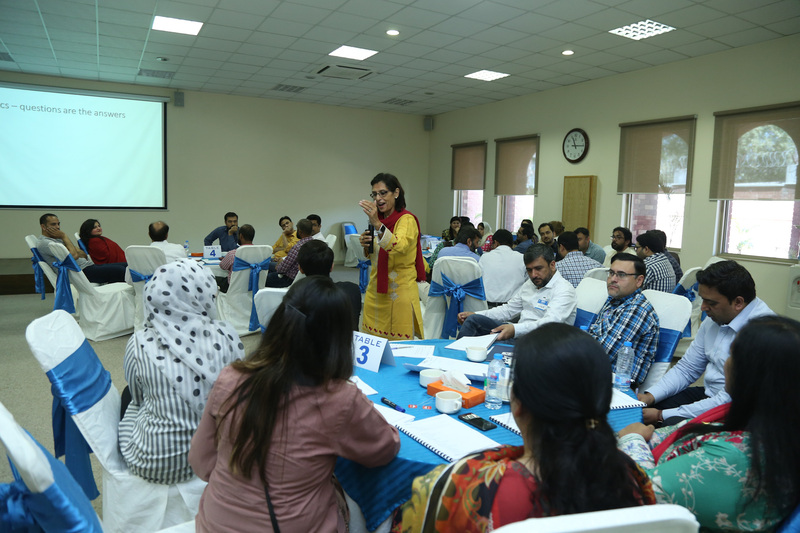 As such, these opportunities afforded everyone a chance to reflect on how they can work more effectively to achieve common goals. Overall, the team building activity was a great opportunity to bring people together by encouraging collaboration and teamwork. 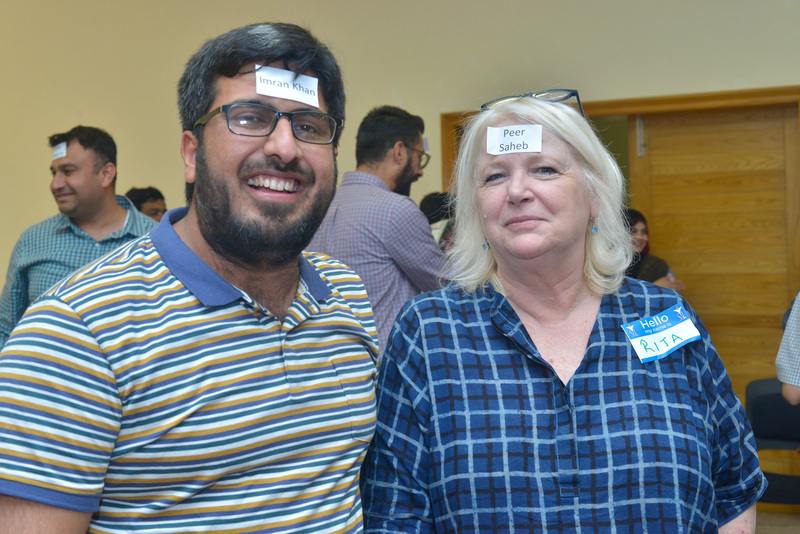 It helped staff see each other in a different light, allowing them to connect in a new setting and hopefully think about the implications of the activities at the workplace. 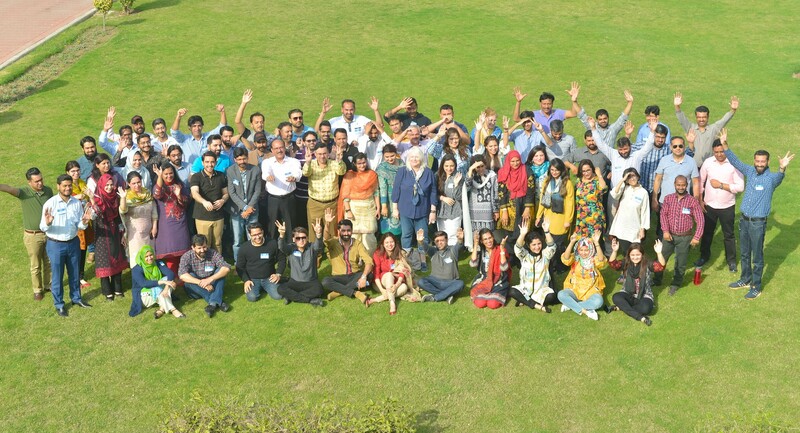 USEFP believes that team building is the most important investment an organization can make for its staff. It builds trust, mitigates conflict, encourages communication, and increases collaboration. Effective team building means more engaged employees, who are ready to commit to the values espoused by the organization and work towards achieving the objective of the organization.